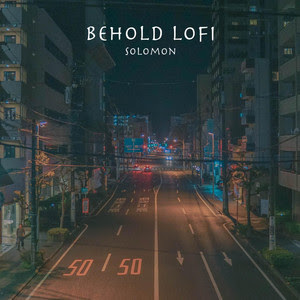 American artist Solomon has just dropped his brand new single Behold Lofi, the title track of his 5-track EP, out now. If you're into stunning chillout music then you will love this song. Solomon has gifted us with a beautiful mix of electronica and r&b that got me hooked right after the very first listen. Behold Lofi is an addictive piece of music packed with a smooth beat and a relaxed atmosphere making it perfect for a laid back weekend at home. I am really loving this one and I think you guys will too. Check it out below!